Brand Watches and Diamonds offer a stunning array of classic and contemporary ring designs for him and her. Make a bold impression or express yourself with a fantastic range of gemstone jewellery. We can help in gorgeous ways to say, love will be forever with delicate diamond arrays or delicious sparkling diamond channels. 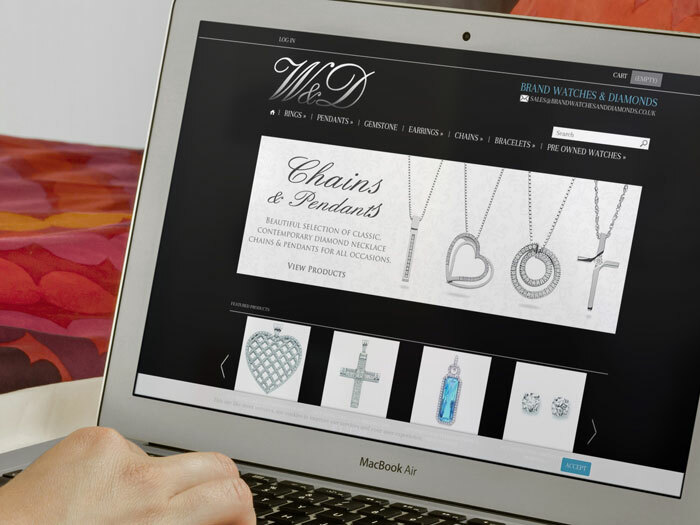 A new brand was designed and an open source E~commerce solution was deployed. Developed on a responsive framework, the website can be managed and transacted on any device. The website is fully administered for its content, products and sales, giving Brand Watches & Diamonds a full online sales solution.